Right, time for something completely different. Today, I’m gonna give you my banana buying tips. 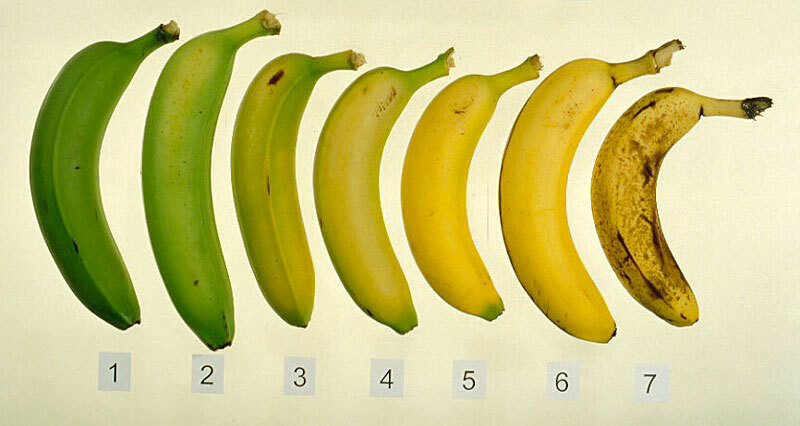 Of course, the most popular bananas are a clean vibrant yellow (5-6 on the chart). As such, I see many people make the mistake of buying them that way, including my parents. Basically, what I’m about to tell you is to always buy them in vibrant green instead (2 or 3). The thing is this, bananas ripen very fast at room temperature. Often times, it will go from level 6 to 7 in just a few hours. Refridgeration vastly slows down the process, but then you’re left with only the option of cold bananas, which won’t taste nearly as sweet. The solution here is to buy them a bit unripe and leave 2 or 3 bananas out in room temperature and fridge the rest. This way, with a little bit of planning ahead, you give yourself the options of having a warm or cold green or yellow banana. I don’t advise level 1 ripeness since they pretty much won’t be edible for at least a day. “But why would you want a green banana at all?”, you may ask. Quite simply, they taste different and will work better in some recipes. If you’ve never tried it, green bananas are slightly stiffer, juicier, and have a very subtle citrus-like sourness behind the taste, while riper ones are generally mushy and sweeter. Personally, for regular eating, I prefer green myself (cold or warm). At that point, you really just have to use your culinary imagination to figure out what works well with what. For example, in a salad, you’d probably want to use warm/green so it doesn’t get smooshed and so the juice can flow out and work with your dressing to flavor the veggies. For pastry, cold or frozen green with any glazing that hardens to keep the juice in (if you have time) makes great banana chip-like decorations, while retaining the fresh sweet flavor. 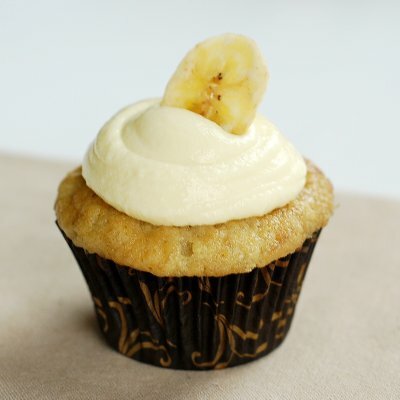 Banana cupcake with vanilla pastry cream. For an ice cream boat, I find warm/yellow works best. The texture will be more consistent and the bananas will have a stronger flavor and won’t get overwhelmed by the ice cream’s sweetness. 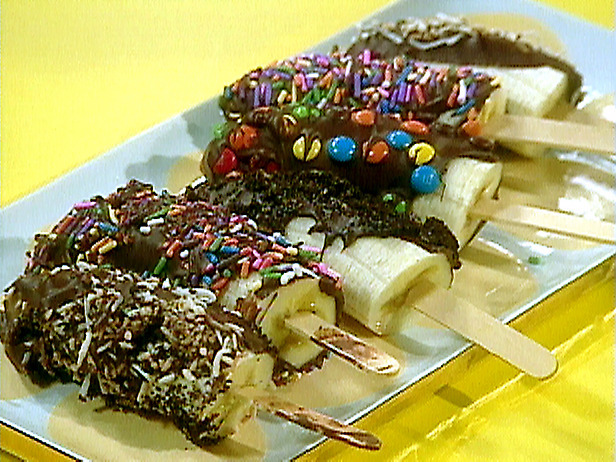 For candy dipped bananas, you pretty much don’t have a choice besides frozen/yellow. Cut off one end of the banana (or in half, for larger bananas) and insert the stick prior to freezing. And of course, if you’re going to make anything that involves cooked bananas in any way, use yellow. That’s all I can think of for my first food article. Thanks for reading and happy banana eating to all!